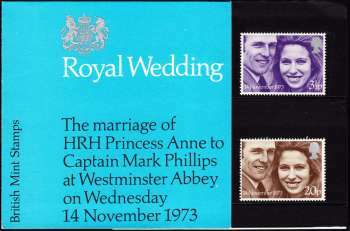 The wedding of Princess Anne, the only daughter of Elizabeth II and Mark Phillips, then a Captain in the 1st Queen’s Dragoon Guards, took place at Westminster Abbey on 14th November 1973. These stamps, based on a photograph by royal photographer Lord Lichfield, were issued to celebrate the event, which was watched on television by around 100 million people worldwide. The first British Olympian to appear on a stamp was Mark Phillips, a member of the three day event team which won a gold medal at the 1972 Munich Olympics. 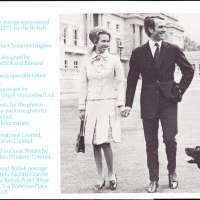 In 1973 Mark Phillips married a fellow horse-riding champion, Princess Anne, who later represented Great Britain at the 1976 Montreal Olympics. Mark Phillips later competed as part of the British Three-Day Event team at the 1988 Seoul Olympics, winning a silver medal. The couple’s daughter Zara Phillips was part of the British Eventing team which won a silver medal at the London 2012 Olympic Games on Tuesday – the medal was even presented to her by her mother. Peter Mark Andrew Phillips, born 15 November 1977. Zara Anne Elizabeth Phillips, born 15 May 1981. In 1989 the Princess Royal and Mark Phillips announced their intention to separate, as the marriage had been under strain for a number of years. The couple divorced on 23 April 1992. Anne, Princess Royal KG KT GCVO (Anne Elizabeth Alice Louise; born 15 August 1950), is the only daughter and second child ofQueen Elizabeth II and Prince Philip, Duke of Edinburgh. At the time of her birth, she was third (behind her mother and elder brother) and rose to second (after her mother's accession) in the line of succession to the thrones of the 16 Commonwealth realms; however, after the birth of two younger brothers, six nieces and nephews, and one great-nephew, she is currently eleventh in line. The seventh holder of the title Princess Royal, Anne is known for her charitable work, being the patron of over 200 organisations, and she carries out about 500 royal engagements and public appearances per year. She is also known for equestrian talents; she won two silver medals (1975) and one gold medal (1971) at the European Eventing Championships, and was the first member of the British Royal Family to have competed in the Olympic Games. Currently married to Vice-Admiral Sir Timothy Laurence, she has two children from her previous marriage to Mark Phillips and two granddaughters. Captain Mark Anthony Peter Phillips, CVO, ADC(P) (born 22 September 1948) is a English Olympic gold-medal-winning horseman for Great Britain and ex-husband of Anne, Princess Royal, with whom he had two children. He remains a leading figure in British equestrian circles, a noted designer of showjumping circuits, and a columnist in Horse & Hound magazine. Mark Phillips is the son of Major Peter William Garside Phillips (1920–1998), and Anne Patricia Phillips (née Tiarks) (1926–1988). He was educated at Stouts Hill Preparatory School near Uley, Gloucestershire, and Marlborough College, then the Royal Military Academy Sandhurst. 14 November 1973 - Captain Mark Phillips and Princess Anne are pictured smiling and laughing on the balcony of Buckingham Palace after their wedding ceremony.